Prabhas and Rana Dagubatti starrer Baahubali 2 (Hindi) continued to dominate on its third Sunday at the box office. Since the new releases, Meri Pyaari Bindu and Sarkar 3 failed to attract the audiences, Baahubali 2 remained rock steady in its 3rd weekend too. Baahubali 2 (Hindi) collected around 17.75 crores yesterday and currently stands with a grand total of 432.80 crores. The magnum opus will cross the 450 crore benchmark in its 3rd-week itself. Coming to its worldwide collections, the film is now heading towards 1500 crore mark at the box office. The film which was released in 6500 screens in India and 9000 screens worldwide has received a phenomenal response globally. 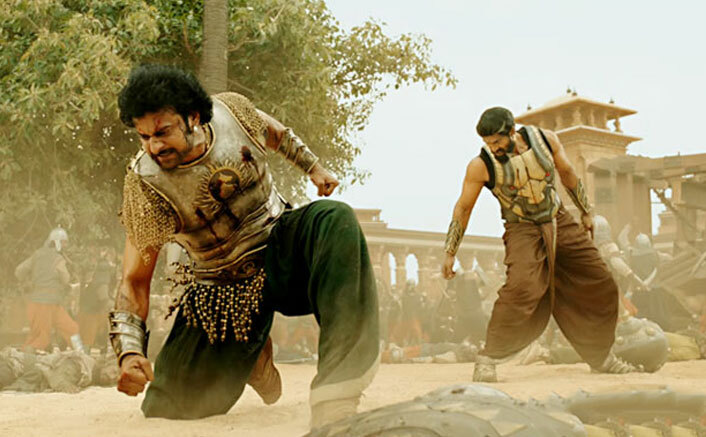 SS Rajamouli has been of the opinion that Baahubali has reached these heights due to the undivided dedication by Prabhas, the director believes no other actor could have shown the level of commitment to the film, the way Prabhas did. Touched with Prabhas’ investment in the film and delivering a powerful performance as Baahubali, SS Rajamouli has gifted Prabhas the iconic Baahubali armour to mark the hard work the actor has put in over the years. Baahubali 2 is a revenge drama. It is the story about Mahendra Baahubali who takes on his uncle Bhallaladeva for plotting and killing his father Amarendra Baahubali, in a fight to rule their kingdom Mahishmati. The film also stars Anushka Shetty, Tamannaah Bhatia, Ramya Krishnan, Sathyaraj and Nassar. Made on an expensive budget of 250 crores, the film is creating and shattering new box office records each day of its running. The film was scheduled to release in 2016, however, the makers moved the date and released the film in 2017. While there are pirated copies of the movie floating around, the visual brilliance and significance of the film have compelled people to head to the cinema halls to watch the movie. Running in 4K in Dolby Atmos, the sounds and scenes of the film can only be enjoyed on 70mm and the audience has understood this quite clearly. The film is produced under the banner of Arka Mediaworks and the Hindi version is presented by Karan Johar under his banner Dharma Productions. The post Baahubali 2 (Hindi): 3rd Weekend Box Office Collections appeared first on Koimoi.